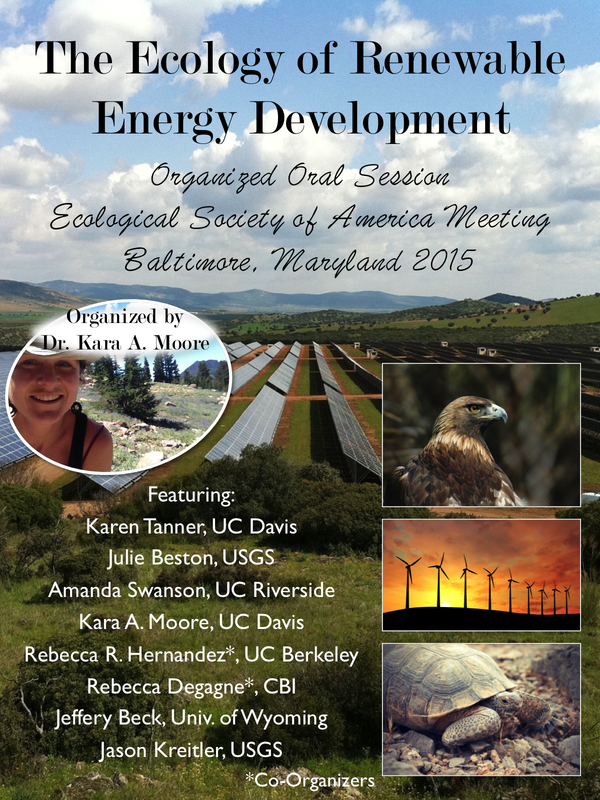 I’ve put together an organized oral session for the next meeting of the Ecological Society of America in Baltimore, August 2015. One of the co-organizers, Rebecca Hernandez from UC Berkeley, has just developed this poster to use in promoting our session. I’m thrilled at the excellent line up and looking forward to adding more talks that we have solicited to the general abstract call. It will be wonderful to have all of these speakers in one place!